Providing information on your company and its office locations. To begin your setup, navigate to your Company Settings > General Info. It will be located right at the top under company. Click Save to save your information. 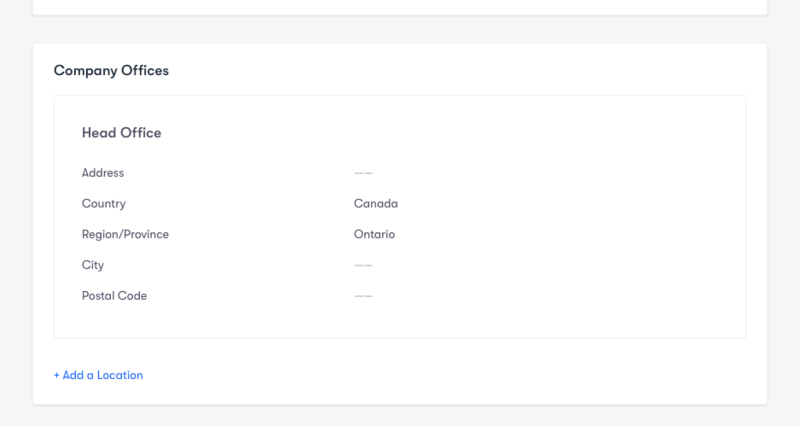 On the same page, you can also specify the location of your offices. 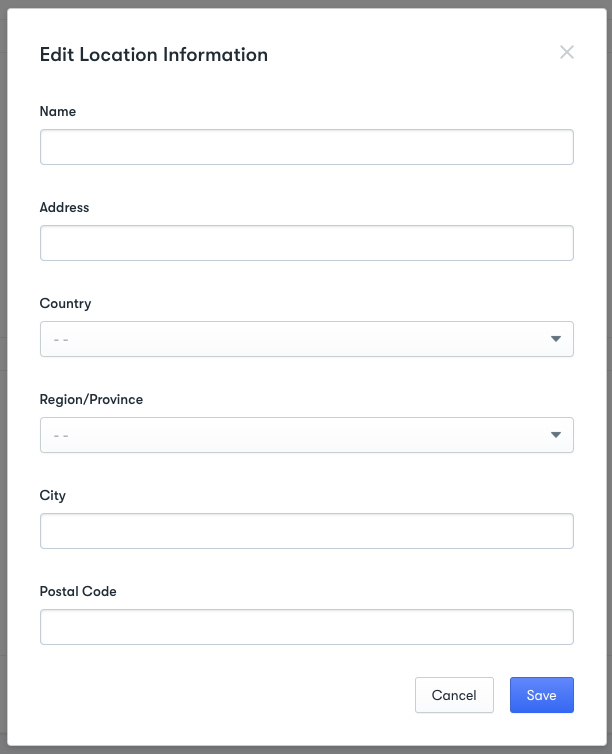 To begin, click on the + Add a Location button at the bottom of the Company Offices section. Once done, click Save to add a new location. 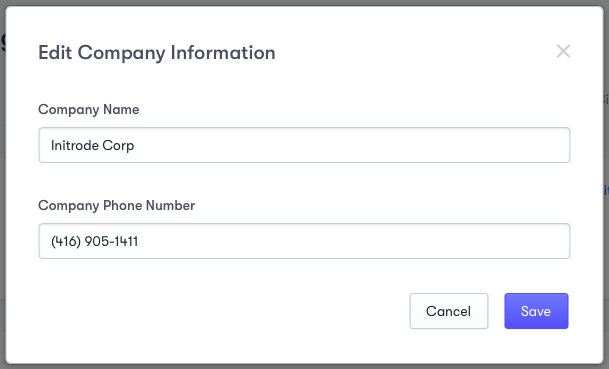 Note: If you have employees that work remotely, you can add a separate location and name it "Remote" without filling out the rest of the form. To edit an existing location, hover over that location and click on the Edit button on the right hand side. You will be then presented with the same window as above to make the desired changes. 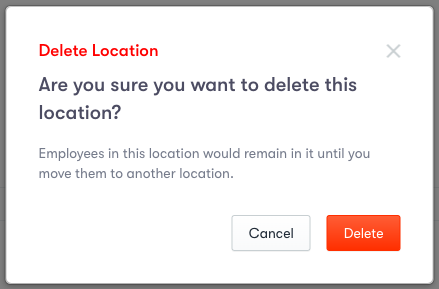 Similarly, you can delete a location by clicking Remove next to the Edit button. A modal window will open for you to confirm the action.